A 17th centaury grave memorial located on the north wall of St. Mary's Church of Ireland, is an elegant memorial slab or tablet for Katherine Holcroft (died 20th January, 1668) who was married to Charles Holcroft or Holcrosse. He was one of the Loughrea Commissioners at the time of the Acts of Settlement and Restoration. 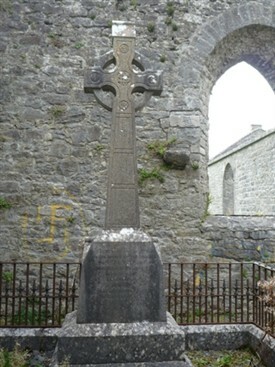 A walled in celtic cross memorial in the Church (ruin) on the Castlebar Road, Ballinrobe. The cheap headstone style Memorial to all those who died at the Ballinrobe Workhouse site located off the Kilmaine Road and adjoining the water towers. 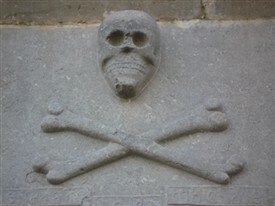 A Livesay headstone in the Tempall na Lecka graveyard at Cushlough, Ballinrobe. The gravestones and grave slabs in Ballinrobe’s graveyards are all testaments to a congregation that lived, worked and contributed to the social fabric of Ballinrobe; all part of our vanishing heritage. It must be remembered that many unmarked graves exist within some of these areas, particularly those that died of cholera and other epidemics that occurred in Ballinrobe. 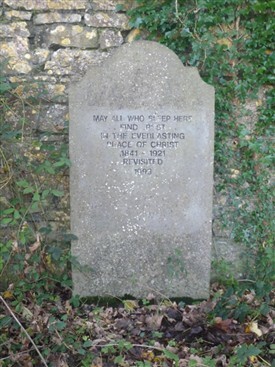 The Workhouse graveyard is one such example. 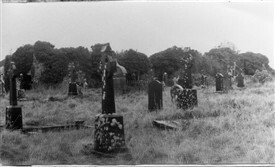 The Church of Ireland graveyard contains, amongst others, a large unmarked burial plot for “the paupers” as recorded in their archives. Sometimes, it can be difficult to find the plots for loved ones, as all evidence of their location is lost. In many cases, the markers were made of wood or metal, which would have perished over time. 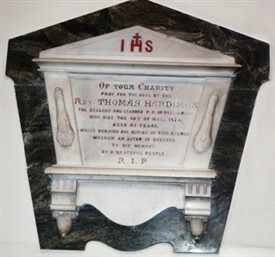 In addition to their aesthetic value and interest, churchyard monuments and memorials give a tangible connection with our history, in a manner which history books can never achieve. It brings people physically in touch with their history, and provides clues to historical events which shaped our country and our landscape. Graveyards yield much information for dating and supplying evidence of the social order of the community and the wealth and poverty of the congregation. They also contribute information for the changes to the fabric of the building and biographies of some of the men, women and children that lived in Ballinrobe, either permanently or temporarily, from the 17th century to the present day. It can be difficult to trace family history in Ireland prior to 1850 as the fire in the Four Courts in 1922 was certainly no help to our country’s genealogical history. Memorials can often be the only record in existence of some people. I have listed below some of Ballinrobe’s graveyards, while other outlying areas with graveyards have been omitted from this list and will be added to at a later date. 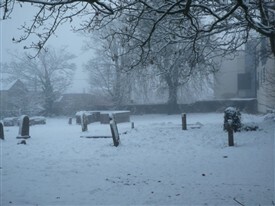 Mr. Gerard Delaney, of the South Mayo Research Centre, has lists of some of those buried in these graveyards. 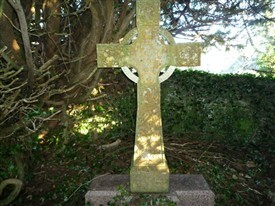 Carnalecka (Tempall Mór), Old Graveyard, Ballyglass Rd. 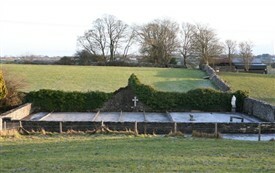 New graveyard, Ballyglass Road, Ballinrobe. Church of Ireland, (now Library) off Main Street. 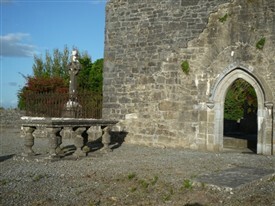 Old Catholic Church (ruin) Castlebar Rd (within Church). Tempall na Lacka, Cushlough, Ballinrobe. Looking for burial/cemetery/gravesite records for Lyons-Jane and Michael married and living after 1911. Lived in Ballinrobe and then Kilmaine. I would welcome any of their kids info as well. I'm am trying to trace family to my Grandmother and my Grandfather. My Grandmothers name is Christina Moffatt, maiden name Burke. She died in the Creagh TB hospital 1944, my Grandfathers name Michael Moffatt. In 1933 he was residing at Glebe Street Ballinrobe, my Grandmother resided at the cottages in 1933.